The main objective of registered nurse schools in Massachusetts is to prepare professional nurses, who are capable of meeting social health care needs. It offers a wide range of degrees at the baccalaureate, master’s, and doctoral levels that incorporate necessary knowledge, skills and competencies required to become a vocational RN. Collaborative and interactive teaching methods assist prospective aspirants to practice safe and quality nursing. An aspirant must meet the following requirements, in order to get admission in an RN school. 18 years is the minimum age limit, which you must attain. A legitimate address proof and photo identification must be submitted at the time of application. The prospective candidate should be proficient in communicating in the English language. Every aspirant should clear the drug test. It’s also crucial to undergo a criminal background check. It is imperative for the students to obtain minimum passing scores in the standardized entrance test (TEAS- Test of Academic Skills). A high school diploma or GED is the minimum educational qualification to be fulfilled by the applicant. You also need to present your fingerprint clearance report. 75% marks in English language and 80% marks in Math is obligatory to score. The requisites for enrollment are standardized in those education programs that are accredited by the American Association of Colleges of Nursing or the Accreditation Commission for Education in Nursing. All the below mentioned programs consist of classroom lectures and clinical practice. The hands-on-practice is provided at accredited hospitals and various healthcare facilities. It’s your responsibility to ensure that the coursework that you have chosen is approved by the Massachusetts State Board of Nursing. Associate Degree (ADN): This two-year degree program costs you around $14,425 annually. The curriculum of ADN inculcates the basic knowledge of nursing and includes English, nutrition, microbiology, anatomy and physiology. Direct Entry MSN or Accelerated MSN: This is a good option for those students, who hold a non-nursing bachelor degree, and wants to continue nursing education in order to expand their career in the field of health care. Accelerated BSN Program: An accelerated second degree program is a fast way to become a nurse. It is designed for non-nursing bachelor degree holders. The above coursework will strengthen your knowledge base in key areas that is essential for successful completion of the RN program and higher earning. Student must maintain a minimum GPA and passing grades throughout the program. 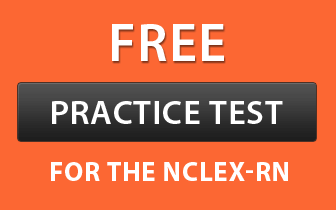 After graduation, the student is eligible to take the licensure examination, i.e., the NCLEX-RN. RN to BSN: This program strengthens your nursing foundation as it incorporates communication skills, critical thinking and leadership qualities. This 2-year degree course includes a holistic curriculum. After earning a BSN degree, an RN can explore various career opportunities. LPN to RN: Those registered nurses, who want to use their previous credits and experiences in further education, can choose this course. This program is basically for the licensed nurses, who want work as an RN. Master of Science in Nursing (MSN): MSN program is designed for LPNs and RNs, who want to become a nurse practitioner. This curriculum will enhance your critical thinking, diagnostic reasoning, and hone your decision-making skills. Doctor of Nursing Practices (DNP): DNP prepares you for leadership roles in an increasingly complex and diverse healthcare system. It focuses on building your competencies at varied levels. Here is the list of accredited nursing schools that offer registered nurse program programs.